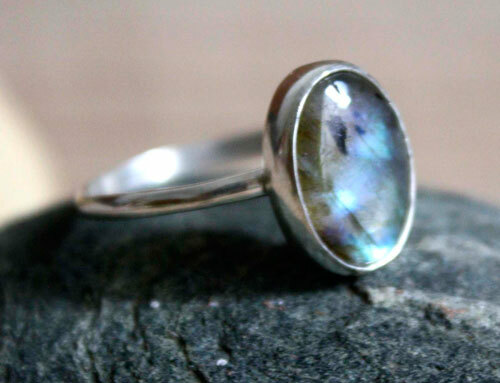 This ring is made of sterling silver (925) handmade in my workshop, and a nice labradorite cabochon. 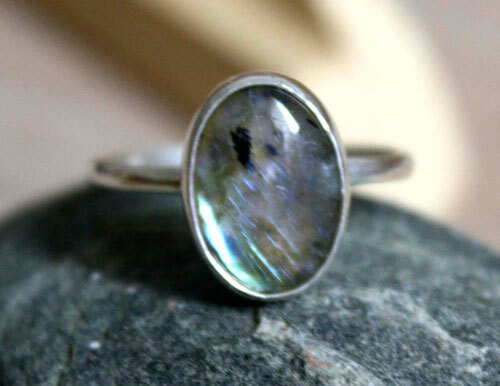 This ring is a custom creation made to highlight this labradorite cabochon, which our client had fallen in love. 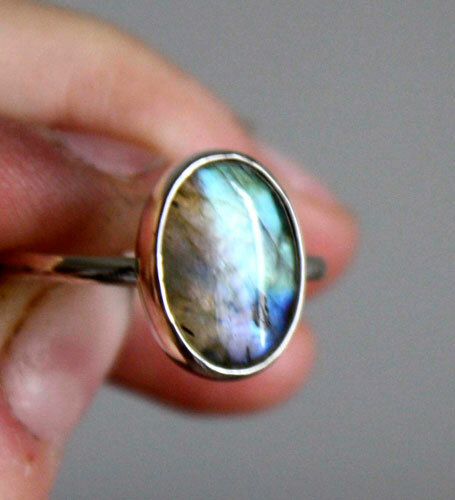 This oval cabochon shows an iridescent effect, characteristic of labradorites. It has a blue, green, gray, depending on the angle of light. To respond to this custom order, we realized a simple and uncluttered crimping to highlight labradorite. In the same spirit, we made a half-wire ring to support this semi-precious stone. 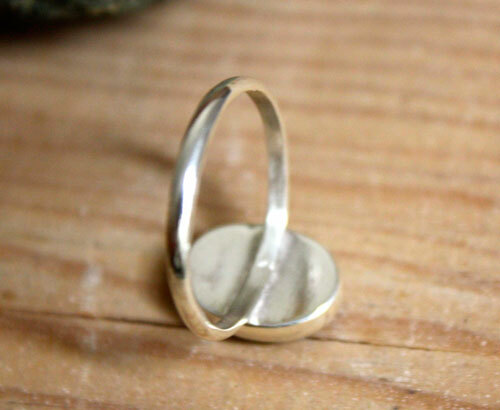 This ring was created for wearing alone or combined with other rings to present such a stackable ring. 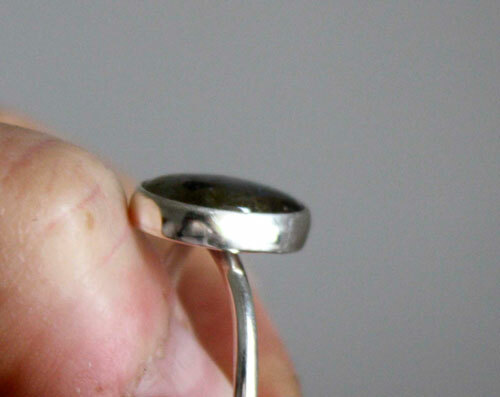 Tag: ring, sterling silver, semi-precious stone, colorful, unique, labradorite, modern, simple, gift, valentine, mother’s day, birthday, cabochon, custom order, creation, reflection, iridescent, blue, green, gray, oval.